A new mural that went up recently at the National University of Pedagogy (teacher's university), around March 8, International Women's Day, an important reminder of the importance of the leadership of women for the peace process. 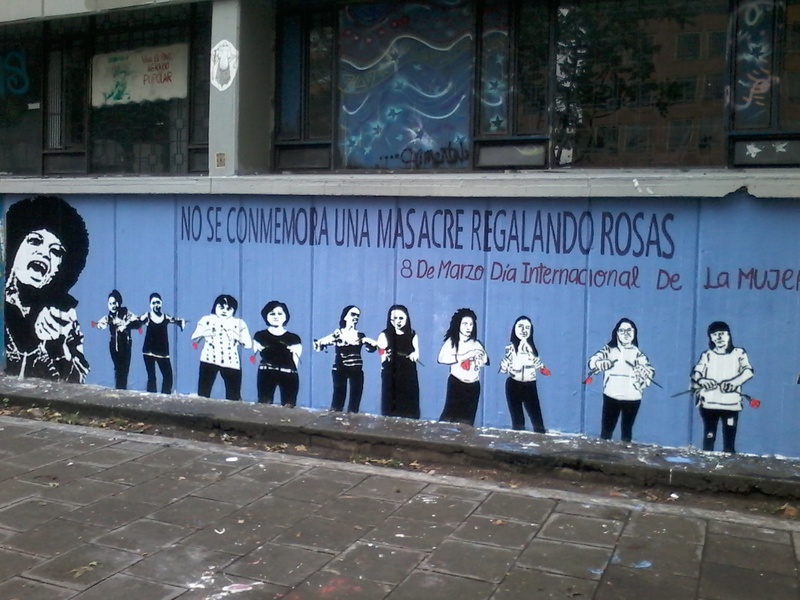 Mural at the University near our apartment (Don't commemorate a massacre by giving roses). Photo by Curtis.